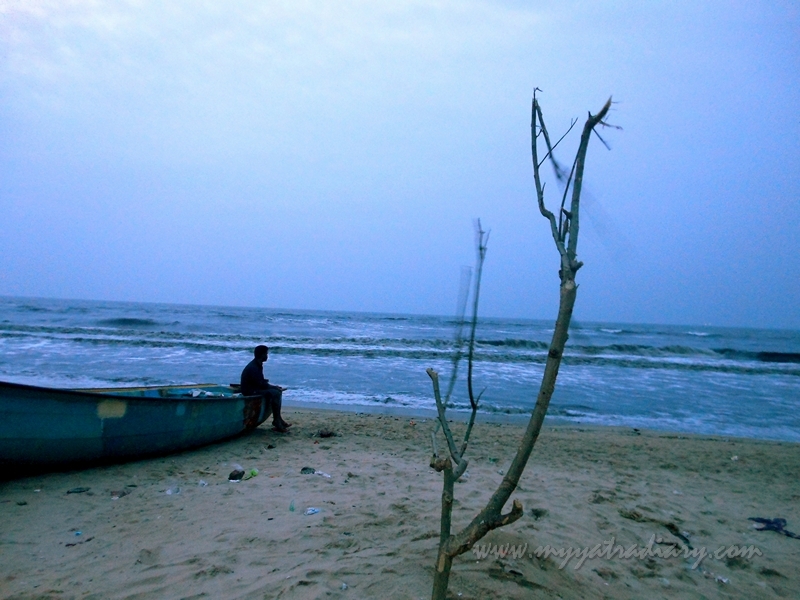 After Rameshwaram, Chennai it was and I couldn't wait to get out and get exploring! After spending a quiet morning relaxing in the Chennai ISKCON temple, it felt nice to finally have an opportunity to move around in this southern part of the world after a gap of many long years. It refreshed memories from my earlier trip which had also covered cities like Ooty and Mysore, but that might have been around like maybe 15 years back or so. Anyway, back to now - we had around 3 hours with us and were pretty flexible on what we had to do and see except that we had to be at one of those lovely beaches around the sunset. 1. THE DIVINE SEAT OF THE CREATOR SUPREME: KAPALEESHWAR TEMPLE, MYLAPORE. We started our tryst with a visit to the ancient Kapaleeshwar Temple in the Mylapore region of Chennai. Originally built in the 7th century by the Pallavas, the temple was destroyed by the Portuguese only to be rebuilt later during the 16th century by the Vijaynagar Kings using remnants of the once damaged temple. 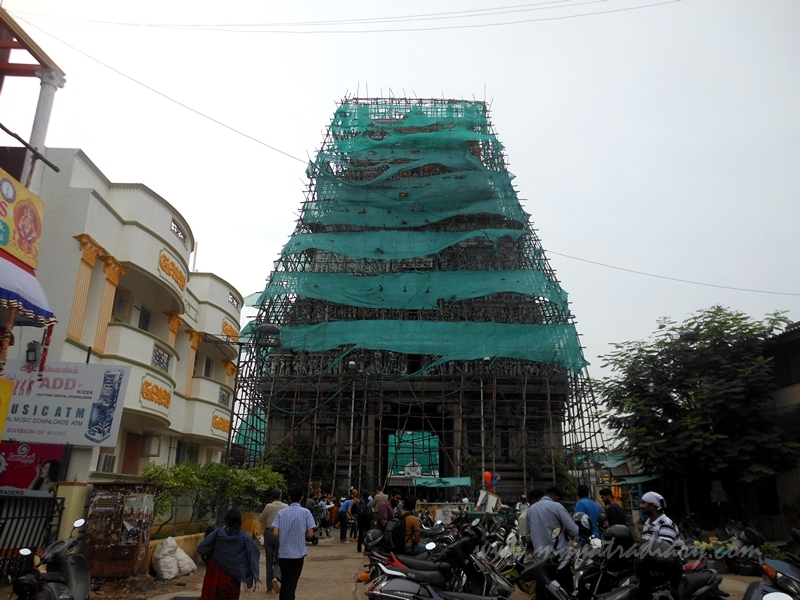 Kapaleeshwarar Temple, Mylapore in Chennai. 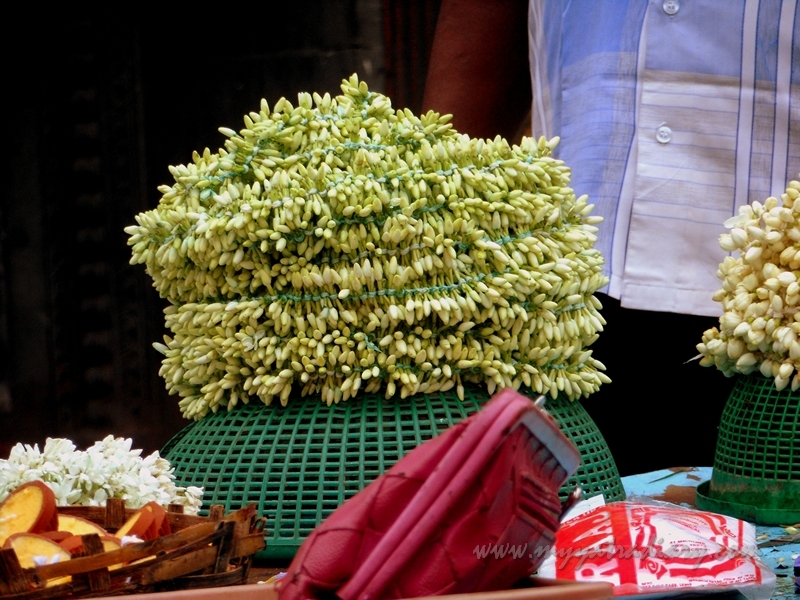 Situated in the midst of a busy and chaotic marketplace of Chennai, you are greeted by flower sellers making and selling flower garlands, flowers and diyas as offerings for the Lord inside. The significance of the temple can be gauged from the fact that it is sometimes also equated to Mount Kailash, the abode of Lord Shiva. The feeling of antiquity was palpable even before I entered the temple premises. The elaborate 120 ft. gopuram (multi tiered entrance seen especially in South Indian temples) was partially covered owing to renovation work being undertaken by the authorities but I could still catch a glimpse of the marvellous stuccos and artistic figurines resembling the Dravidian style of architecture peeping from behind when the cloths fluttered in the wind. I wondered of all the stories and legends these figurines held within them, mostly from the Puranas and ancient Hindu texts glorifying its rich enlightening history. They – the Gods, Goddesses, angels, demons in their various forms - seemed to represent the whole range of emotions that we humans are capable of. It was overwhelming to just stand and stare at the larger than life sculptures that seemed to stare down right back at me. 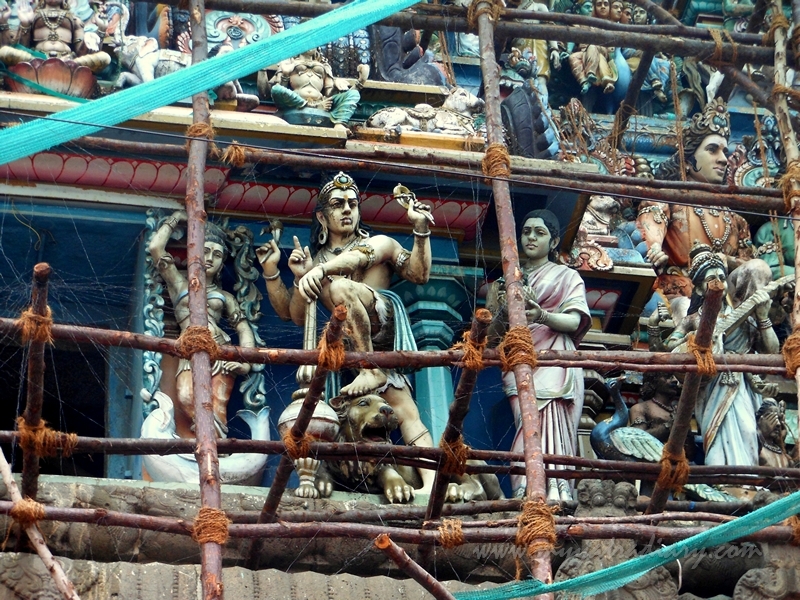 Marvellous stuccos on the gopuram staring down at me. Inside the temple compound, the precincts were spiritually charged with the devotion and prayers of hundreds of devouts who come down to bow their head in the humble reverence of their ‘Lord who wears skulls’ Kapaleeshwara every day. 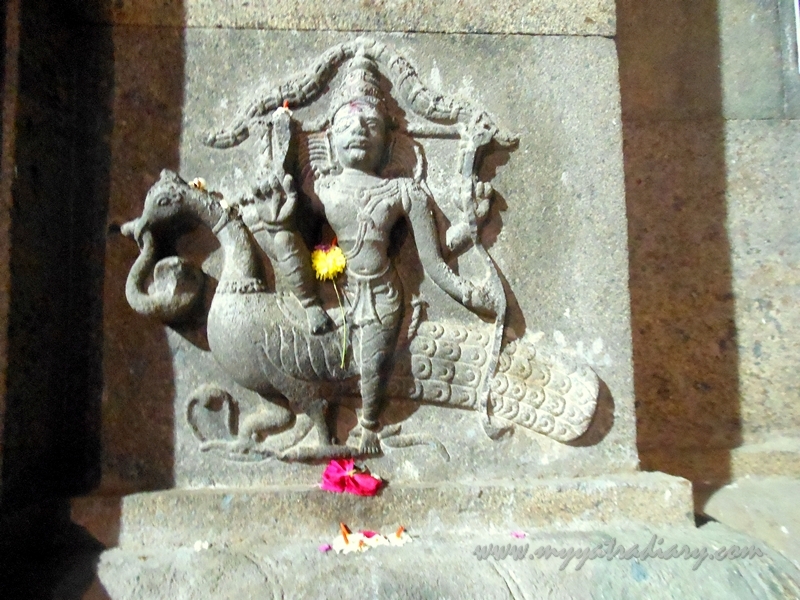 Lord Shiva as Kapaleshwar, The Lord of the Skulls. As I entered the main sanctum which was reverberating with chants and hymns, I felt blessed by the effervescent energy lingering all over… from this moment now and then… when great saints sang hymns in praise for Lord Shiva in His self manifested form of a lingam sitting with His consort Uma Parvati as Karpagavalli. Uma Parvati shrine as Karpagavalli seated on a peacock. A few quiet moments here… and I felt enriched. Besides the main temple, the courtyard consists of temples of Lord Vinayaka, the son of Lord Shiva and His consort Parvati. Vadakku Maada Veethi, Mylapore, Chennai, Tamil Nadu 600004. 5 am to 12 in the afternoon. 4 pm to 9 pm at night. 10 day Panguni Peruvizha is observed in March-April including celebrations for 63 Shaivite saints drawing a huge crowd of devotees. The devotee crowd in the temple is usually huge on New Moon and Full Moon days and Pradosha days. Some Shiva related festivals are observed in the temple each month. 2. 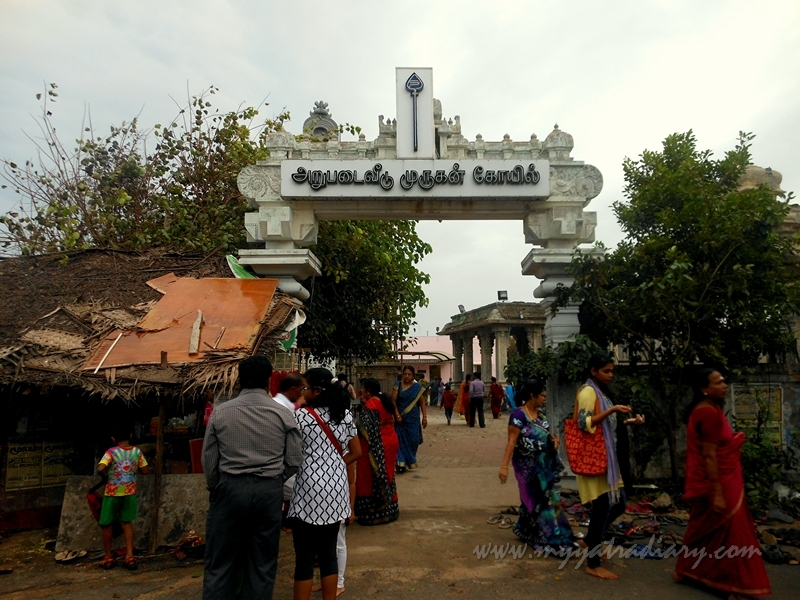 SIX PLACES OF PILGRIMAGE: ARUPADAI VEEDU TEMPLE, BESANT NAGAR. 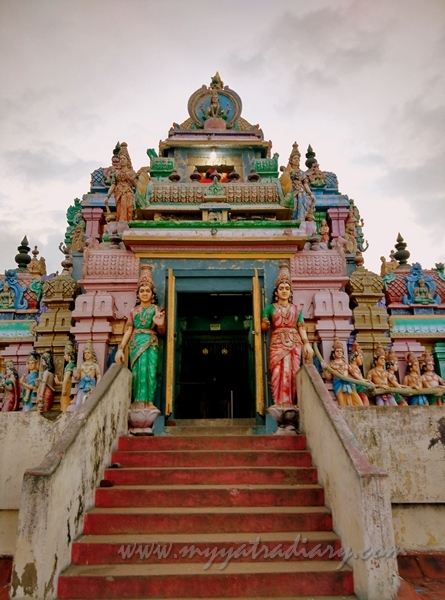 A short 20 minute ride from the Kapaleeshwar Temple brought us to our next, more modernistic temple in granite, Arupadai Veedu Temple dedicated to Lord Murugan – primarily a Tamil deity also known as Karthikeya, the son of Lord Shiva. 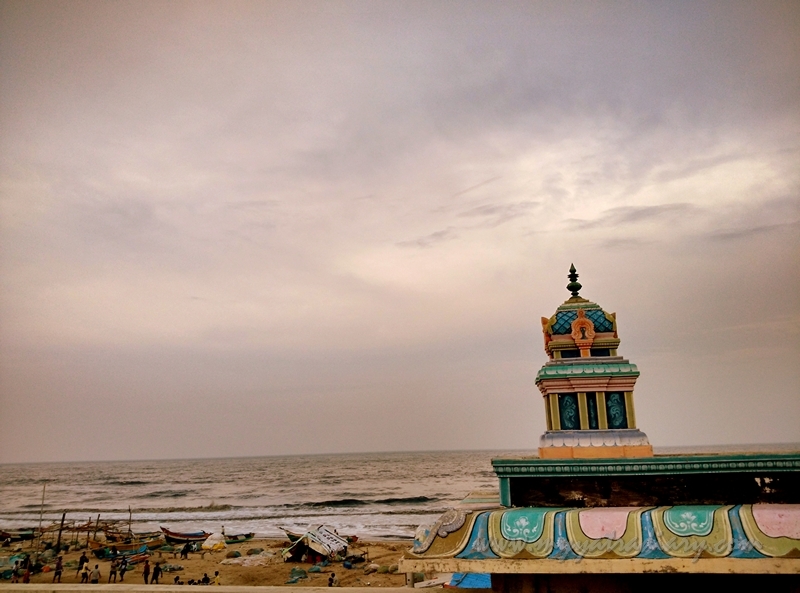 Located on the beach side in Besant Nagar, the temple is close to the Eliot beach in Besant Nagar and yet maintains an insulated distance by tucking itself away in a peaceful lane off the main road. What makes the temple so special is the divine presence of Lord Murugan in six different forms as He is seen in Palani, Thiruthani, Thiruchendur, Thiruparankundram, Swamimalai and Pazhamudircholai in His six exclusive temples spread across the state of Tamil Nadu. I find this idea especially charming where the Lord Himself comes to meet His favourite people as He knows there are those people who cannot travel to all His different abodes separately. Such a thoughtful gesture! So, this is THE place where Lord Murugan comes to bless us with ALL His power and might of six places of pilgrimage. The complex of the temple. It was around dusk when we entered the premises. Lamps were being lit at the shrines giving a blissful ethereal setting to the surroundings. Additional deities in the temple included Lord Vinayaka right in the center and the nine planets in the navgraha temple. Murugan Temple where six forms of the Lord reside. The courtyard is spacious and when we went there, it wasn’t very crowded. We completed our darshan of all 6 forms of Lord Murugan within 20 minutes. Besant Nagar, Bay of Bengal shore, Near Ashtalaksmi temple, Chennai – 600090. Apart from the regular poojas & daily rituals, there are special poojas on Thai Pusam, Panguni Uttiram, Aadi Krittikai, Skanda Shashti. Moving a further 10 minutes from Arupadai Veedu Temple, we halted next at Ashtalakshmi Kovil (AshtaLakshmi means 8 forms of Laksmi and Kovil means temple), one of the very few shore temples in India, situated right on the shoreline near the Elliot beach. 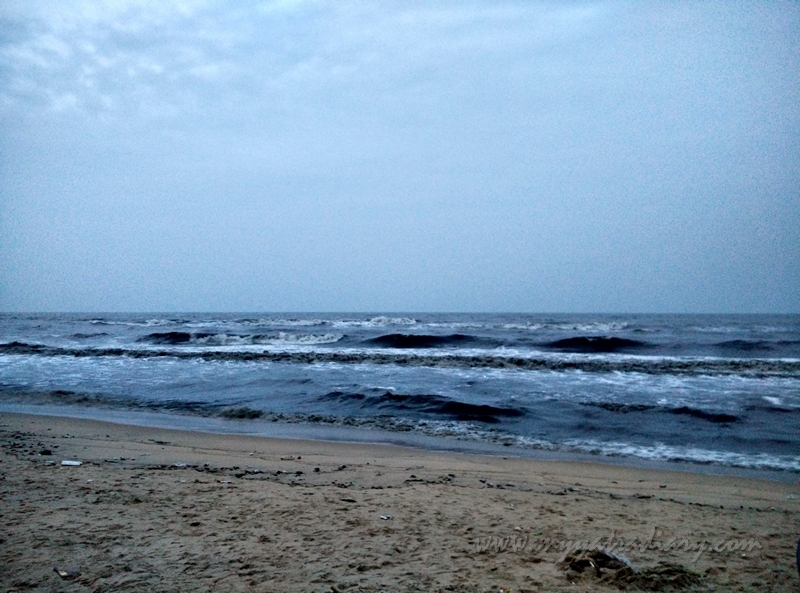 View of the sea from the Ashtakovil Mahalakshmi Temple. Walking past the red and white striped walls enclosing the deities, I stepped into the complex dedicated to Goddess Mahalakshmi, Goddess of wealth and her eight forms (Santhana Lakshmi, Vijaya Lakshmi, Vidhya Lakshmi, Gajha Lakshmi, Dhaanya Lakshmi, Aadhi Lakshmi, Dhana Lakshmi, Dhairya Lakshmi) who bestow different forms of material, emotional and spiritual affluence to the earnest devotee. 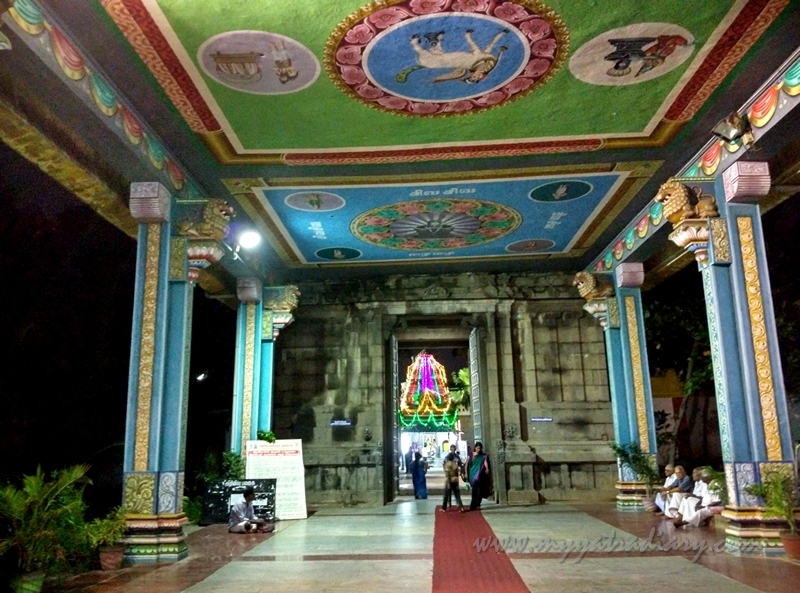 AshtaLakshmi Kovil Mahalakshmi Temple of the Goddess. The Chief Goddess of the temple, MahaLakshmi resided with The Great One, Lord Vishnu and together they seemed to radiate peace and prosperity to anyone who asked for it. A slight cool breeze blew from the beach afar as I beheld the glimmer of Her smiling beaming face in my ordinary eyes. After the darshan of all Her sister shrines housing the eight roopas (manifestations), I sat in silence in the promenade, cross-legged for a few minutes. A slight breeze billowed from across the shrine buildings as I sunk in the tranquillity that flowed from the shrines all around me. Suddenly, I felt richer… richer with the promise of good luck and riches that came from The Mother herself. Odaimanagar Beach Rd | Besant Nagar, Chennai 600090, India. I never quite came to know when the boundary of the Ashtalakshmi temple ended and the hazy waters of the Elliot beach began. Under the enormous canopy of the twilight sky, I watched the waves rising and breaking and then rising again with each passing minute. The sea waters, just a stone’s throw away from the temple, offered a serene peacefulness like no other. Beachy time: Peaceful and serene! Not only to me but to the many others who watched intently the roaring sea in awe and wonder. Like the boatman who had relaxed his paddles for the day. Time to spend some time with oneself. The night sky kept getting darker but for some of us… time stood still; the rolling waves, the swelling sea and the whispering winds reminded us of the rolling life and how precious it was, how unique - with its whispering highs and lows, challenges, opportunities and the anticipation of what lies next. 5. THE LORD OF THE MEDICINES: MARUNDEESWARAR TEMPLE. Next and last stop for our evening was the Marundeeeswarar Temple, a 11th century Chola temple, another one of the oldest temples in Chennai dedicated to The Lord of the Medicines, Lord Shiva! Doctor literally, because it was here that Lord Shiva taught sage Agastya about the mysteries of herbal medicines for the betterment of mankind. It was also here that poet-saint Mahirishi Valmiki, the writer of Hindu holy book Ramayan, came here to seek Lord Shiva’s blessings. Since then till date, the temple is revered for its healing and curative properties and the deity as the healer of diseases. The ceiling depicting puranic legends. 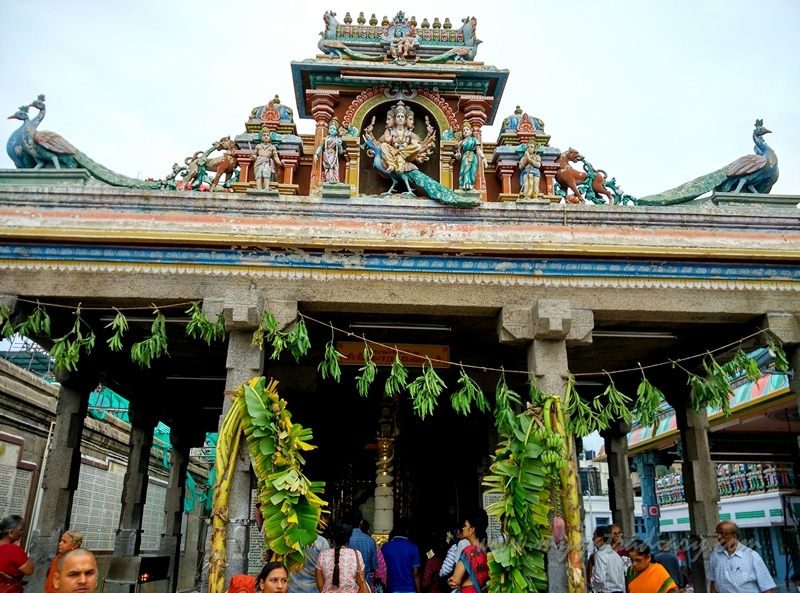 Situated in Thiruvanmiyur, Chennai adjacent to the beach of Bay of Bengal at the point where East Coast Road starts, the temple is one of the 275 Paadal Petra Sthalams, where saint poets Tirugnanasambandar and Tirunavukarasar have sung songs on the greatness of deities in the temple. 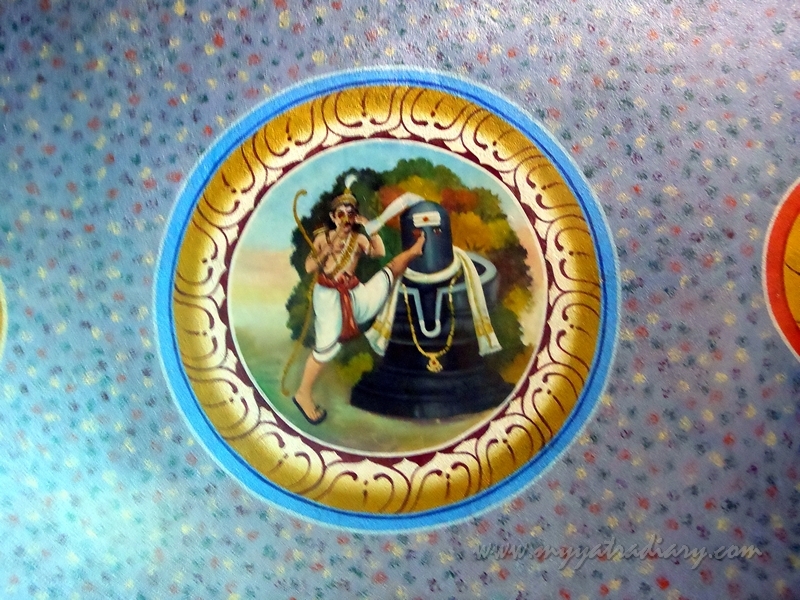 Images of Lord Shiva and His legends adorn the ceiling of the patio that leads to the main courtyard of the temple. 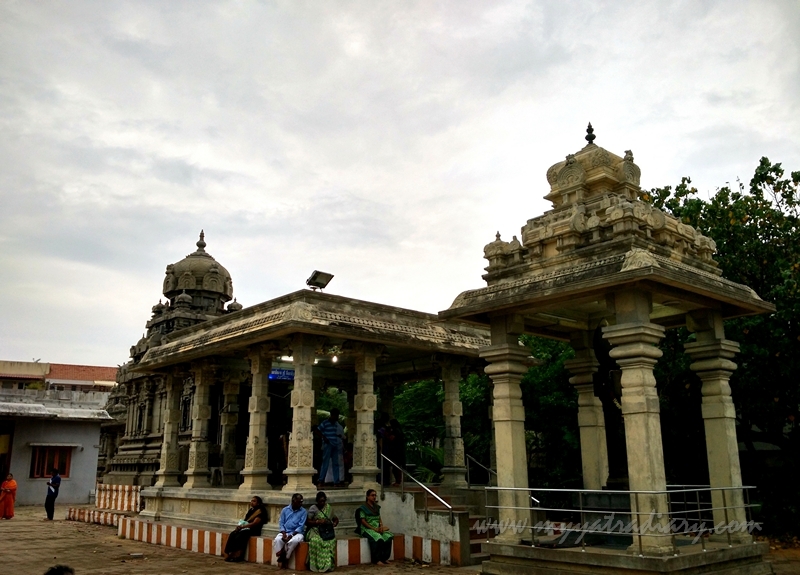 The imposing temple is spread in a vast area, approximately 1 acre and has shrines dedicated to Lord Ganesha, Lord Murugan, Lord Marundeeswarar and His consort Tripurasundari, who is actually Goddess Parvati. Intriguing craftsmanship adorning the walls. The mandapam (hall) housing Lord Shiva has 36 massive pillars adorned with rich carvings and mythical inscriptions from the past. Even amid the chatter of the people in the hall, it had that dreamy calming vibe to itself. Perhaps that is what; I felt, is the most healing of all medicines required for the times we are breathing today. It was comforting and reassuring of His protection on me. Thiruvanmiyur, Chennai, Tamil Nadu 600041. Contact number: 044 2441 0477. Temple Timings: 9 a.m. - 8 p.m.
Panguni Brahmmotsavam in March- April, Shivrathri in February-March, Vinayaka Chaturti, Skanda Sashti in October-November, full moon days Kruthika star days. Mahabaliuram, Kanchipuram, Tirupati, Mysore, Ooty packages, Pondicherry, Rameshwaram, Munnar, Coorg, etc. I wish we had more time to get away and explore some more of the wonderful treasures tucked away in the southern part of India. But the journey continues and yes, God willing – some day! Have you been to Chennai? What are the other great places that you could recommend visiting? Nice to read your post. Beautiful pics. Looks like you are having a wonderful journey and thanks for taking us along and sharing your lovely photos. Awesome! We spent time at a few temples you listed above during our trip to Chennai in 2013. I recall a kinda intense but warm place but was hella sick from a recent brush with death - giardia, then dangerous levels of dehydration - in Kerala. So energy was sapped a bit and we stayed in more often than not. I'd love to visit when I felt much better. Hopefully we'll swing by during our next Asia trip to enjoy the sights and sounds of this wonderful city. I didnt even know of ashtakovil mahalakshmi temple. Looks like i missed out on quite a lot during my chennai trip...need to plan another one soon. Lovely pictures btw! 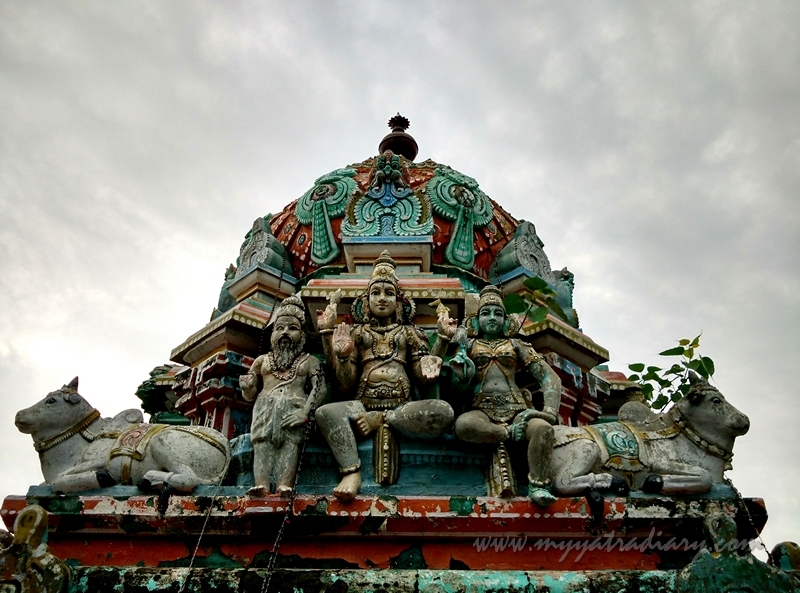 A really nice post about temples in Southern part of Chennai. 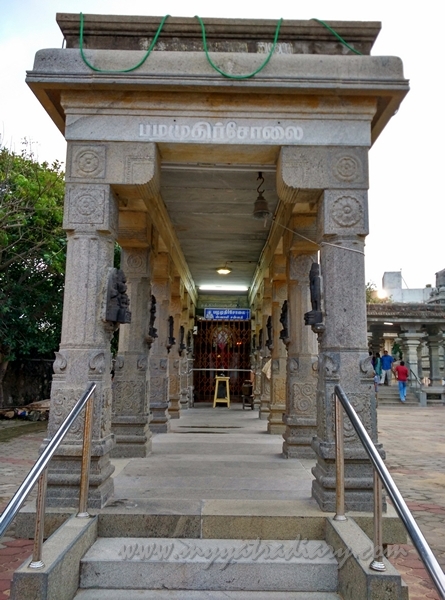 Despite having stayed in the vicinity of Besant Nagar, have never gone inside Arupadai Veedu temple and Asthalakshmi Temple (We don't realize the importance when we stay nearby). Now that, I have moved a bit far away, time to give Bessie a visit. You could have covered Santhome Church in the cluster. It is very closeby Kapaleeswarar Temple. Built in 16th Century by the Portugese, it has a long history. The architecture and paintings are marvelous. If you visit Chennai and have half more day, you could cover the other key places including Parthasarathy Temple in Triplicane, Fort St George in the northen part of the city (it is the secretariat of the state - the first building built by British in Chennai) and St. Thomas Mount in southern part (another ancient church built in 16th Century - you get a good view of city on one side and flights landing in airport on another side). So glad to see you are having a wonderful trip. Those detailed sculptures are amazing. Your weather is getting to mild? Have a good weekend. Glad to know you have been to my neighbourhood, because Adyar (where we reside) is nestle between Mylapore and Besant Nagar. I had been to all these temples but 15 years back, when I was able to walk somewhat and this post really makes me walk back into memories. Hope you come back some other day and got to explore many other places in Chennai! Quite a bit of temples they have, and they look magnificent too! Glad you've been covering so many of them...blessed you will be! You had a busy day visiting the temples, Arti. I enjoyed your photos. So many statues and carvings to admire. Your description of the sea is very spiritual and poetic.